A fifth generation Tehama County farmer and rancher, Bob Williams was born and raised in Corning. After graduating from Corning High School in 1975, Bob attended and graduated from CSU, Chico in 1979 with a Bachelor’s Degree in Recreation Administration. In June of 1980, Bob went into partnership with his father in operating Williams Ranch and in 1995, became managing General Partner. In 2002, Bob graduated from the California Agricultural Leadership Program, as a proud member of Class 31. Bob and his wife Candy have been married since 1978 and have 2 children, Robert and Jennifer, as well as 7 grandchildren. Robert and Jennifer are both U.S. Army veterans and both live and work in Tehama County. In his public life, Bob has served on the Corning Recreation Commission, Tehama County Farm Bureau Board of Directors, Farm Service Agency Tehama County Committee, Thomes Creek Water District Board of Directors, Tehama Colusa Canal Authority Board of Directors and the Corning High School Board of Trustees. In June of 2006, Bob was elected to the Tehama County Board of Supervisors as the District 4 Supervisor and served as Chairman in 2008. In 2010 he was re-elected and again served as Chairman in 2012. In June of 2014, Bob was elected to his third term and served as Chairman in 2016. 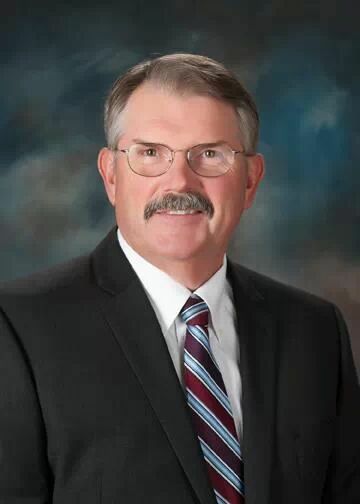 Among his duties as Supervisor, Bob serves on numerous local committees and commissions, and is Tehama County’s representative on the Boards of Directors for both the California State Association of Counties (CSAC) and the Rural County Representatives of California (RCRC). Bob has served two terms on the Executive Committee for CSAC and is the 2017 Chairman of the RCRC Board of Directors. In his spare time, Bob enjoys remodeling homes, golfing, hunting, fishing and spending time with his friends and family.